Win Loss Analysis may be one of the most important success measurement activities—not just for sales, but for marketing and product leaders. 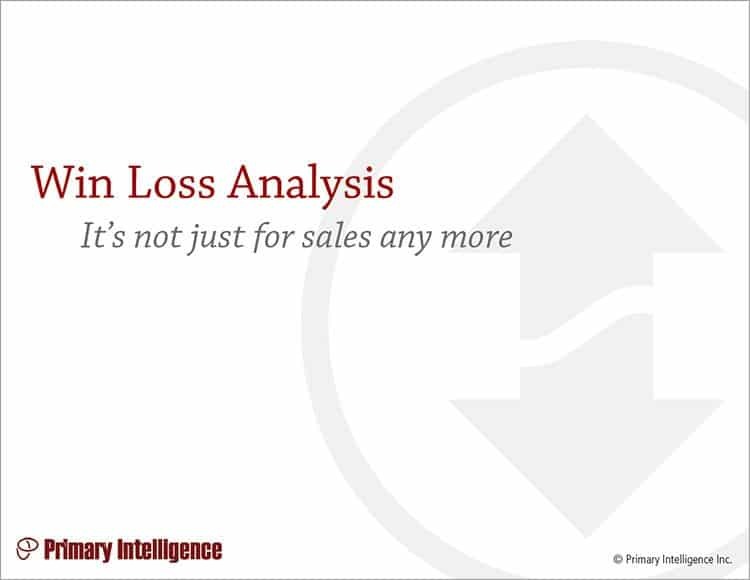 Win analysis will explain clearly how buyers buy; loss analysis will tell you why they don’t buy from you. You’ll learn how to improve your product and your promotion. And most often, you’ll learn where marketing can support the sales team with better sales tools. Product managers and others assume that sales people are analyzing wins and losses. And sales people assume “someone at corporate” is doing it. And for the vast majority of firms, no one is doing it.